This indicator is a trend indicator like traditional moving average. 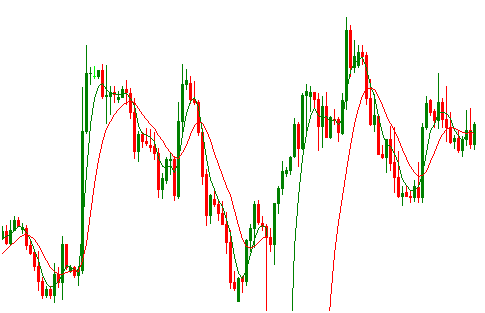 Here I did not explain the formula of this indicator, rather I only explained technique of interpreting this indicator to find the entry and exit signals. In a plotted MAMA on metatrader4 trading platform, we have an MAMA(green) and an FAMA(red). The indicator generates entry and exit signals through MAMA and FAMA crossovers. When the MAMA crosses the FAMA from below, a buy signal is generated, and when the MAMA crosses the FAMA from up, a sell signal is generated. The traditional moving average indicator can be replaced with MAMA indicator. This indicator can be applied by all type of traders, even who are scalping because if once the trend is identified, any trading strategy can be successfully applied. If you are scalping plotting this indicator on 30m chart can be effective, but you can confirm the long term trend by plotting it on 4hr chart. Enjoy your trading and share your trading experience with this indicator, dropping a comment below. You can contact with me adding me to your circle on GooglePlus. Besides, you can also mention me on twitter @albab247.